Not every WordPress user is a web designer or developer. With this in mind, WordPress theme development company Elegant Themes decided to create a theme that would allow web designers and even end-users to design their own site layouts inside WordPress, without needing any knowledge of HTML or CSS code. 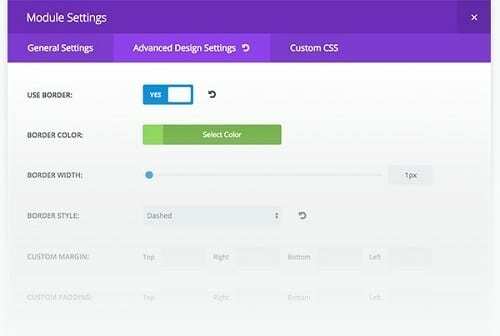 Divi, using its drag-and-drop WordPress theme makes it easier than ever before for WordPress users to build their own custom sites. Here we will take a look at how it has revolutionised content management system based web design and what the new version, Divi 2.4 has to offer. Divi is revolutionising web design and WordPress as a CMS platform. When Elegant Themes first started out, they were releasing a new theme every month or so to keep their members happy. In 2013 that all changed when they began working on ‘their future most flexible and powerful theme’ which became known as Divi. At first, some members of the Elegant Themes club were upset as they felt like everything had stopped in the development department (source) but Divi, released on 11th December 2013, proved to be worth the wait. The theme came with a wonderful drag and drop page builder which was very flexible and straightforward to use and had plenty of modules, allowing users to quickly build and customise any of their WordPress pages with great features and functionality – and without the need to leave their page and look at widgets or plugins. Divi quickly became the go-to theme for many WordPress users, so the new strategy Elegant Themes had envisaged (concentrating on a single theme rather than multiple themes) proved to be a great move. In fact, Divi went on to be so popular that in March 2014, Elegant Themes decided to increase their Personal Package membership (yearly subscription) from $39 to $69 for new members. This was a pretty bold decision, yet one that was easily justified. For that price members would get access to 87 themes, one being Divi, which has endless possibilities – well worth the price in our opinion. According to the WPThemeDetector tool, which tracks the themes being used by WordPress sites, Divi was one of the top 100 themes on 13th February 2014 and then one of the top 50 themes by 25th March. Just a couple of months later in May, it was ranking as one of the top 25 WordPress themes. Divi 2.4 gives WordPress users more control over the look of their site than ever before. 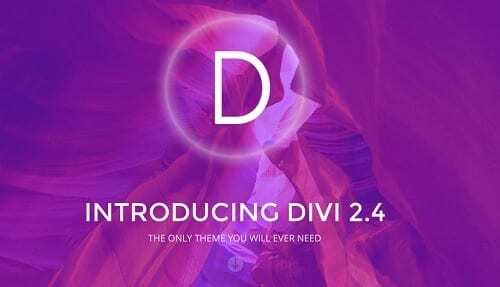 What’s so great about Divi 2.4? The revolutionary update, which comes with 1000 new module design settings, theme customiser controls and all-new fluid grids, makes the theme more flexible, versatile and easy to customise than ever before. These new features, along with the all-new Divi Library, provide a way for users to create, use and save their own collection of Divi Builder sections and page layouts, which can be used across multiple pages. 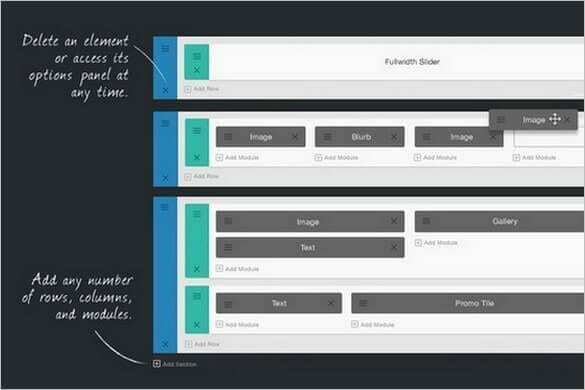 Previously users could save entire page layouts (e.g. an ‘our team’ page) using Divi, but now Divi allows users to save sections – and that means users can effectively create re-usable “modules” (e.g. ‘book and save’) within their page and then use these modules again elsewhere on the site without needing to re-create them. In the past our solution was to combine Divi with global content blocks, but not anymore. What’s even better is that it includes all posts types. Yes the Divi Builder in 2.4 has now been extended to all post types, so you can use it to create aesthetically pleasing, professional-looking blog posts too. It could be argued that Divi is changing WordPress web design and the whole idea content management for the better and is making it more accessible to users than ever before. Whilst WordPress has always been a popular CMS (used by 48.02% of the top 10k sites), customisation has always something new users (with no web design / development knowledge) struggle with. Before users either had to fork out for a professional developer or put up with a standard looking site. Now thanks to Divi they have infinite design possibilities and the opportunity to customise every inch of their WordPress layout themselves. 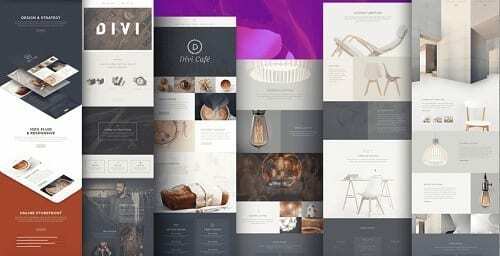 Divi 2.4 is so much more than a WordPress theme and one we very much recommend here at Opace. If you want to create a beautiful custom website without needing to code, Divi may just be the theme you’re looking for. Contact us today to discuss your requirements.